This is my knitted response to BBC Radio 4’s The Archers programme solidari-tea with Helen campaign. My artwork is to encourage people to stand with Helen, and other sufferers of domestic abuse. 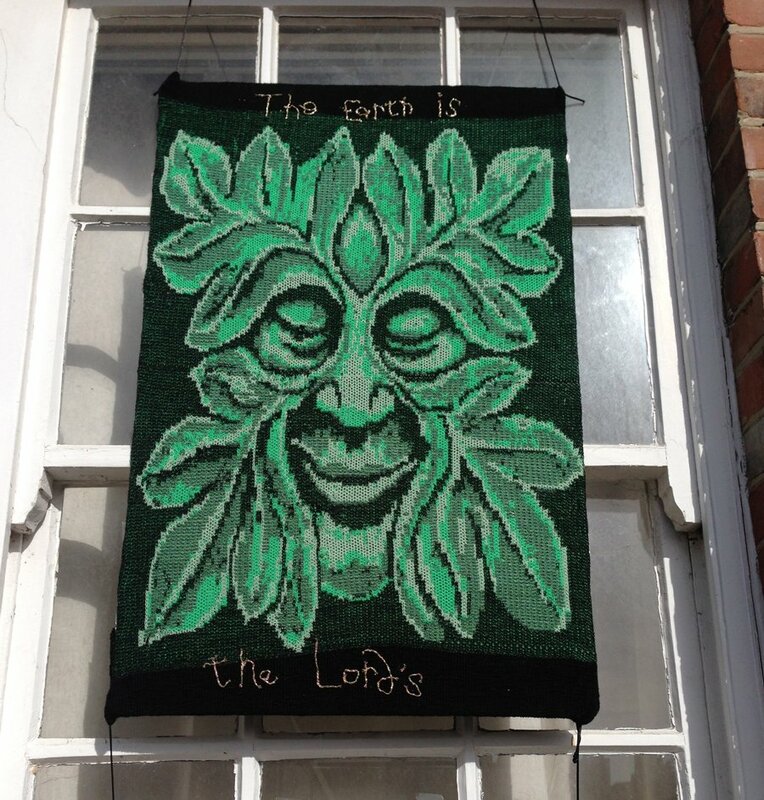 For Jack in the Green 2015 in Hastings Old Town, I created and display my knitted Green Man. I called this artwork Jacquard in the green as the method of knitting is double jacquard, and is knitted in four shades of green. 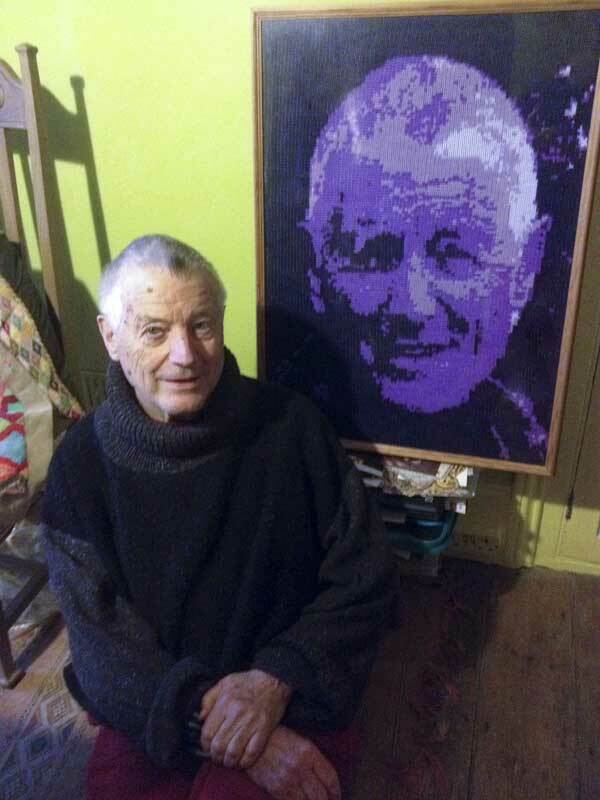 This is my knitted tribute to knitwear designer Kaffe Fassett, to mark his 50th year of being residence in the UK, and his massive contribution to the art of knitting.